Jamey Garner is a dance artist, director of the Garner Group, and co-artistic director of Three Dances with Brinsley Davis and Suzanne Wiltgen. Her works have been seen in a variety of venues, including the Williamsburg Fashion Weekend in Brooklyn, NY, the Ritz Theater’s Choreographer’s Evening in Minneapolis, MN, the Eat It! Comedy Festival in New York, NY and as part of the FirstWorks festival in Providence, RI. Combining the Western traditions of ballet, modern and postmodern dance with elements of mysticism, she investigates postmodernism, postcolonialism and hybridity. While in Minneapolis, she had the pleasure of dancing for Hijack, Vanessa Voskuil, April Sellers, The Body Cartography Project, Deborah Jinza Thayer, Laurie Van Wieren and wooed Baryshnikov with flowers across the Pantages Theatre in Eliot Feld’s Mr XYZ. 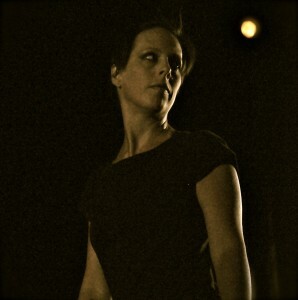 She performed onstage in Melissa Birch’s short play “Places”. Her film performance work includes the short film “Freshies” and the 2009 Cannes International Advertising Festival’s Gold Film Lion award-winning short created for the Chambers Art Hotel by Barrie D’Rozario Murphy advertising agency. The film is now in the Museum of Modern Art’s permanent collection. Jamey attended Oklahoma State University, traveled to Kenya with the School for International Training, and graduated with a Bachelor of Arts in Psychology from Gustavus Adolphus College in St. Peter, MN.